24 tiles from Johnson Brothers china plates. Red flowers, yellow flowers, green leaves, blue & yellow accents, gold rim on off-white china. All rim tiles. Minor discoloration on some tiles, fine all over crazing, lay flat. 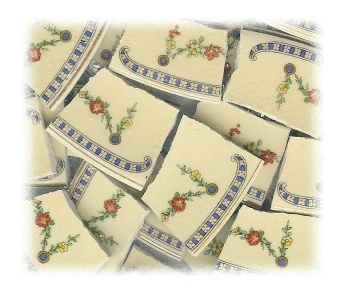 Tiles average approximately 1.50" wide.